Foreign travel, what was once a luxury has now become the norm with more and more people spending time abroad through business or emigrating to build a new life. Choosing to emigrate with children can be a complicated process but it can be further complicated should the parents of the child have separated especially if one party feels they are being ‘pushed out’ of the family unit and that the move is done with the deliberate intention of reducing the amount of time they spend with the children. If there are good arrangements in place then there isn’t a problem but if the process is rushed, not given enough thought or done out of malice, there can be serious problems for all parties, especially the children. Living arrangements settled out of court require a lot of co-operation between parents and so generally, ex-partners tend to live close to one another to facilitate adequate contact with the child. This is however, difficult to achieve where one party wishes to move abroad with the child. Whilst there are currently no major barriers of movement between the UK and EU there is every possibility that by March next year restrictions on residency and free movement may be drastically different. The consent of anyone with parental rights over the child must be sought before one parent can relocate with the child. Generally both parents will have parental rights and responsibilities in relation to their children. A mother automatically obtains parental rights whilst a father obtains these rights if he is married to the mother or is the named father on the birth certificate (so long as the child is born after 5 May 2006). If the child was born before 5th May 2006 and the father is not married to the mother, he will only obtain parental rights and responsibilities through the court granting responsibility or through a formal agreement with the mother. 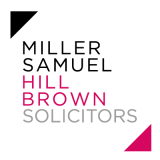 If one party doesn’t wish for the child to move abroad then the party looking to move with the child must apply to the court for an order to agree to their case. If they decide to press the issue then professional legal advice should be sought. Unfortunately sometimes children are taken abroad without permission from the other parent. This is known as ‘child abduction’. Fortunately, there are legal agreements between the UK and other EU countries that make it easier to ensure the safe return of the child to the UK if they have been taken without consent. The sooner the application is filed the sooner your child can be returned. Once the child is back the court will decide whether it’s appropriate your partner to move abroad with your child on a more permanent basis. Outside the EU, things can get more complicated. You can come to a written agreement concerning how often the child can visit, who pays for travel and how much say the parent left behind has in the day-to-day concerns of the child. However, it will also depend on the individual laws in the country your child is now living in, and what kind of cross-border relationship there is between the two legal systems as to whether the agreement is acted on. Simply, there is no guarantee that even if there is a written agreement in place that it will be enforced by the legal system in the country the child is now living in. That can make it very difficult to challenge the arrangement unless there is clear proof that the welfare of the child is at risk. If you or your ex-partner is planning on taking your child abroad, make sure you speak to one of our Family Law specialists to ensure you’re on the right side of the law. contact us on 0141 221 1919 or fill out our online contact form. The Chambers and Legal 500 rankings are out!